I’ve seen “Avena Caliente Available” taped to the window often when I walk by Spanish restaurants; and from time to time, I purchase it by the cup. I love how the minute you smell it, it reminds you of Home and the moment you taste it, it takes me back to my childhood and days my mom used to make me warm oatmeal cooked in milk right before school. The recipe was adapted from the Dominican Cooking blog. I followed their recipe exactly last time and enjoyed the bold cinnamon and cloves flavor, but the kids not so much. I think they are accustomed to the basic plain oatmeal I usually make (just water, oatmeal and sugar and pinch of salt– and any type of milk added after in our serving bowls). I think Avena Caliente is supposed to be more of a drink than a traditional oatmeal you would think of. It reminds me a little of the hot version of Horchata or a hot cereal drink, except warmer and richer in flavor. So if you want a drink, add about 2 cups more of milk, water or one of a each or even more, based on your preference or feel like in the moment. I added less liquid than the original recipe, since it’s easier for the kids to feed themselves when it’s thicker and creamier. 1- Put oatmeal, milk and water in a stainless steel pot and use an immersion blender set to pulse about half of it. 2- Add in the cinnamon stick, cloves, 1/4 salt. 3-Turn fire on medium low and allow it to cook for about 10 minutes stirring it frequently. 4- Add in brown sugar and mix well and simmer for another 5 minutes and it’s done! *Note: The longer you let it simmer, the stronger the flavor of cinnamon and cloves. I am planning to reheat this for an after dinner dessert and maybe add a little whip cream, sprinkle of cinnamon and drizzle of maple syrup. 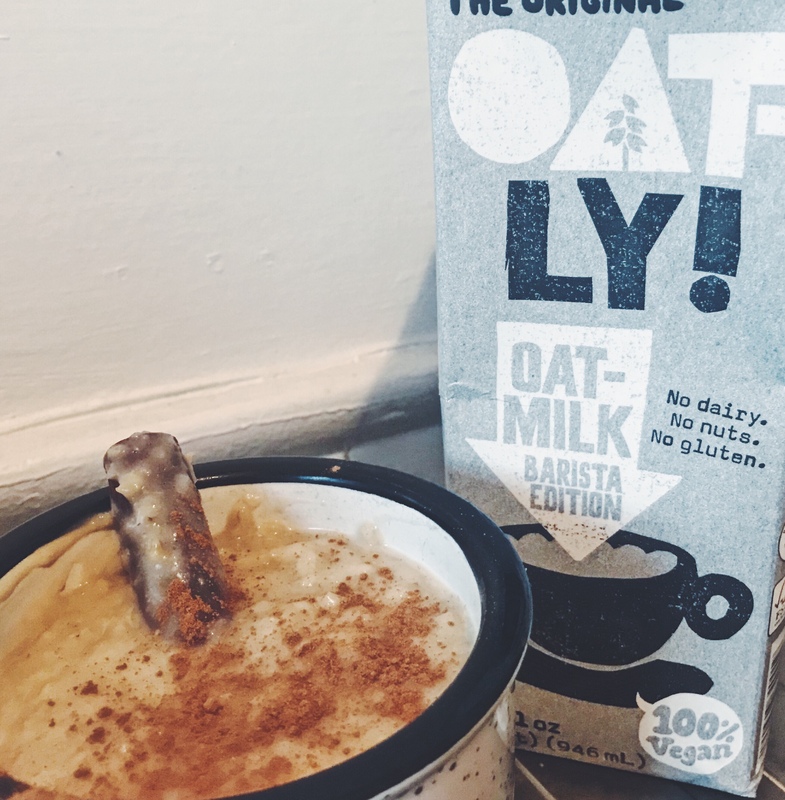 How do you like your oatmeal? Do you have any favorite toppings? 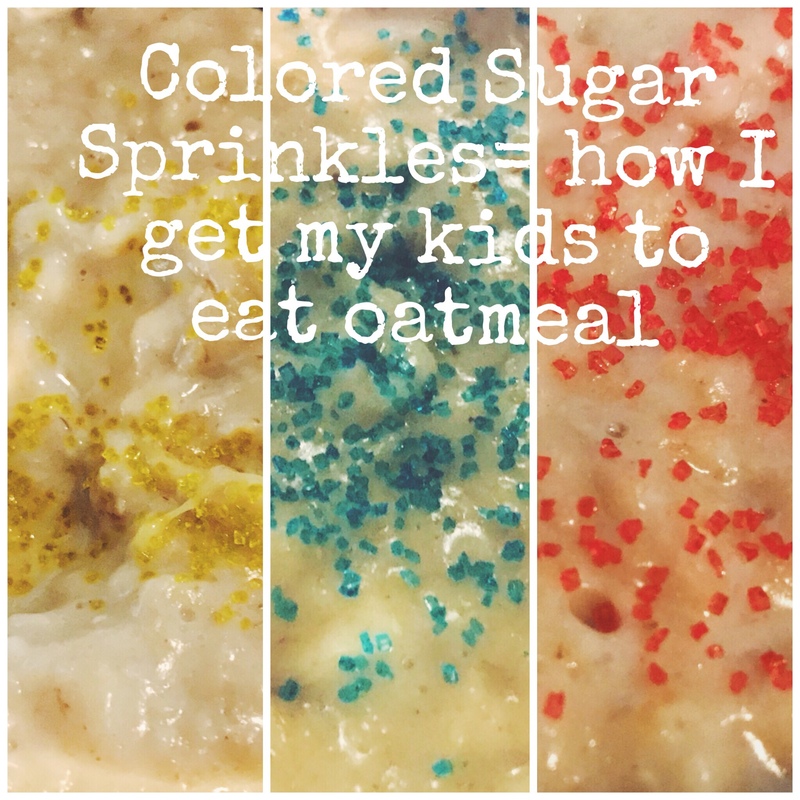 I add colored sprinkle sugar to get my kids to eat it! I won’t say they all love it, but they do end up eating it all.